For non-profit organizations, driving advocacy through innovative communications campaigns is huge. In addition to the countless online strategies that exist in today’s digitized world, live in-person events is another impactful advocacy campaign strategy that can assist in driving awareness about your specific mission and in achieving your overall goals as a non-profit organization. In this post, we’ll review some event plan best practices to keep in mind. Again, make sure to attach a specific metric to each goal so that measuring the performance will be very straightforward once the event comes to a close. Articulating the performance of the event against your metrics will be crucial for optimizing future events. Once the goals are set, take time to gain a clear understanding of what your audience wants. Conducting short pre-event surveys with potential attendees and asking what they would want to see at your event is a good way to stay aligned with their interests as well as ensuring your planning efforts won’t go to waste. Instead of sending a separate email, include a short questionnaire on the online registration form so that an attendee can easily submit their response alongside their event registration. This makes it simpler to gather the valuable data that can inform your next event or future ones. If you’re looking to expand the capital and resources of your event without increasing the budget, event sponsorships can help to ease the financial burden. Reach out to companies that closely align with your event mission and open up the conversation for a possible sponsorship. Be receptive to the needs of the company and discuss ways in which your event could provide direct value. Perhaps your attendee demographic aligns closely with a sponsor’s target audience and you can provide ample brand exposure. Or the organization may be interested in using your event as an opportunity for market research and you’d be willing to send out a survey on their behalf. Think of creative ways to address the needs of your sponsors to secure a mutually beneficial partnership. Your event website will be the most important form of front-facing marketing collateral. Every prospective attendees will visit it and decide whether to attend or skip out based on the impression that they are left with. In addition to including all necessary event info, your event website should be an accurate and memorable representation of your event brand. It should ultimately lead the website visitor to a specific action, which would be to register for the event. And call-to-action buttons that stand out on the page. Teach for America hosts hundreds of external and internal events across the country each year. A quick glimpse at their LA chapter’s All-Nighter event reveals how they are implementing the elements discussed above. For more practical tips on creating your event website, check out the tips for designing a donation page since the both share the goal of driving action from the website visitor. Social Media - Devising several social media campaigns throughout the event promotion process is key to maximizing exposure. Schedule your posts ahead of time to maintain consistent output and make sure that the same event hashtag and handle is being used across platforms. Use specific social media tools to grow and manage these campaigns. Content Marketing - Create original content such as blog posts and videos to highlight the value of your event. Keep in mind that all of this content does not have to be direct event promotion. Have the content be related to your topic of your event in the form of tips or best practices. By offering something of value to your audience, they will naturally want to learn more which leads them to your event website. NPS score reflects the likelihood that attendees would tell their friends to attend your event. This survey method asks one simple question: On a scale of 1-10, how likely is it that you would recommend this event to friends? Scores of 9-10 are considered “promoters” who will act as loyal enthusiasts for your event brand. Scores of 7-8 are “passives” who are satisfied attendees but are still vulnerable to competitive offerings. Scores between 0-6 are considered “detractors” and run the risk of damaging your event brand through negative reviews. The NPS is then calculated by subtracting the % of detractors from the % of promoters. This score is a key indicator of how much value your event brought to attendees, which is something all major stakeholders will want to know. Once the event has come to a close, set aside ample time to analyze the post-event data. How did total event attendance measure against total registrations? What was the social media engagement throughout the event? Which sessions were the most popular? Using an event management software to dive into these analytics will be the best way to do so since an all-in-one platform can provide insights across campaigns. With a robust report of the post-event data, you’ll able to prove real value to all relevant stakeholders and know how to optimize your strategy for future events. There are plenty of moving parts when it comes to event planning, but when using the right step-by-step strategy, the initiative seems not only manageable but fully achievable. We hope this blog post will assist you with creating an event that directly impacts your organization's goals. 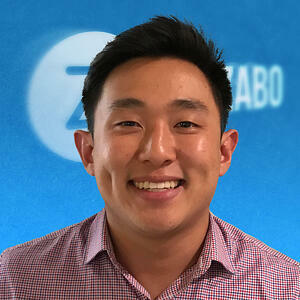 Stephen Kim is a Content Marketing Strategist at Bizzabo. Launched in July 2012, Bizzabo is the world's first event success software. It helps organizers create successful events by empowering them to build amazing websites, manage event registration, grow communities, go mobile and maximize event experiences - using a beautiful, user-friendly platform.